It's been a busy spring as we approach wedding, shower and party season here in the South! If you're following along on Instagram, you've seen a few sneak peeks, but here is a quick preview of the projects I've been working on! Planning a wedding? A shower? A spring soiree? Would love to work with you to make your event unique, thoughtful and seamless. First Ever GOLD FOIL Invitation Suite! I've been working with a bride (who also happens to be one of my life-long friends!) for a while on her wedding invitations. She had her heart set on gold foil so I jumped into the learning process of how to make it happen. We've been waiting and waiting and they arrived yesterday, and I am SO happy with our finished look!! These details not only help brand your wedding and complete your look, but I promise that it makes for a better time for you, your MOH, and your family! Give guests the information they need before they have a chance to ask. You'll be thankful that they know the plan and it will help you avoid lots of phone calls and texts while you've got bigger things to think about. Start thinking ahead and planning for the wedding weekend now. These are items you can complete while you have the time - and it will so make you look forward to your Big Day. Here's the latest for a June bride who will use this instead of a guest book! Guests are going to sign a Bible and add notes for the newlyweds. I love this idea - a great keepsake rather than a book that will go in the attic with your other decor. It's been a busy week here prepping to add a few items to the shop! We're really excited to offer custom stationery through our site, rather than through custom orders. 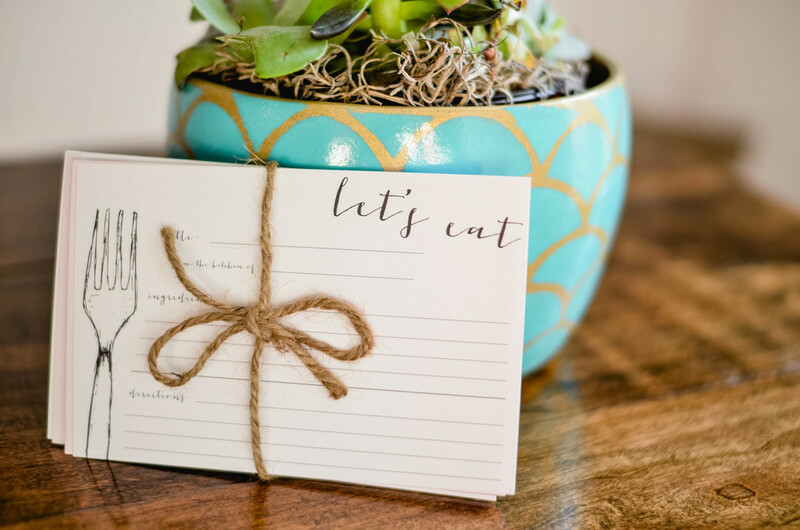 Several brides have reached out in search of a good thank-you-note option, and other friends just want good ole stationery options. Regardless of your use- they're simple and classic.